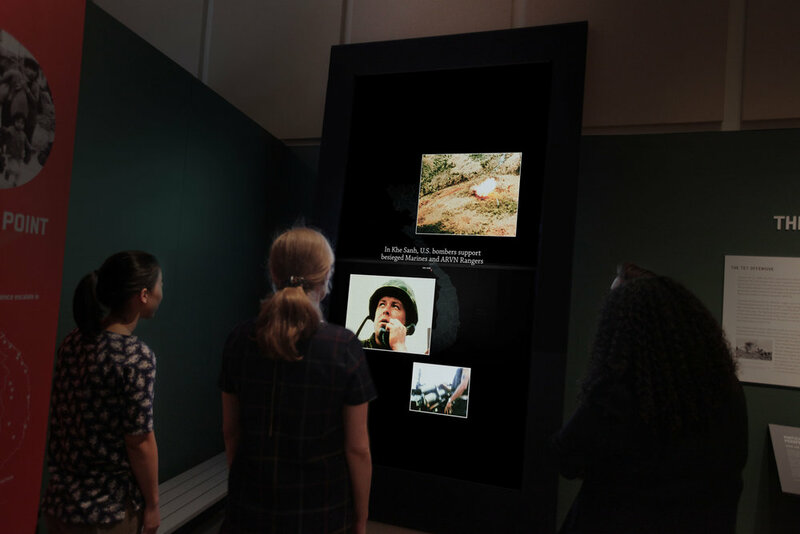 The Drawing Room was commissioned by the New York Historical Society to create a video installation about the 1968 Tet Offensive for their epic "Vietnam War 1945 - 1975" exhibit. The video was created using a vertical aspect ratio, and played on an eleven foot high screen in the gallery. It was an incredible project to work on, thanks to the support of Curator Marci Reaven and the dedicated staff of the museum, as well as the amazing footage we were given access to by Florentine Films. NYHS description of the exhibit from their website: "Populating a 3,000-square-foot gallery with interpretive displays, digital media, artwork, artifacts, photographs, and documents, the exhibit provides an enlightening account of the causes, progression, and impact of the war. 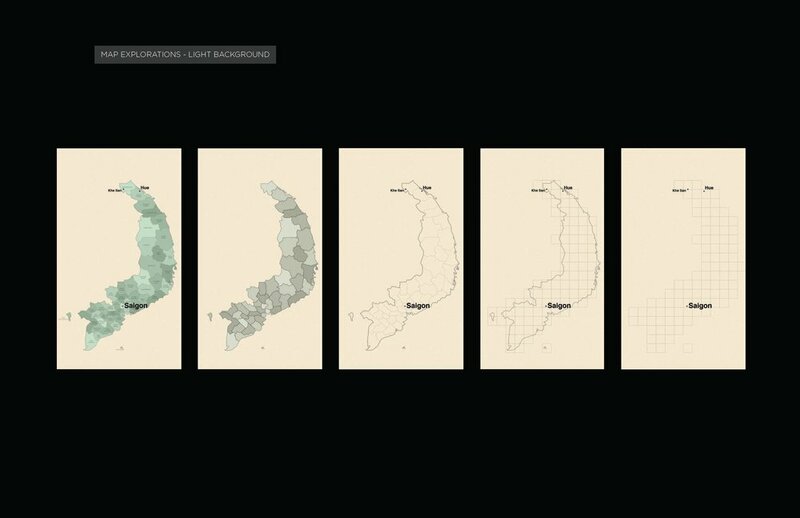 Spanning the duration of U.S. involvement in Indochina from 1945 to 1975, the narrative incorporates perspectives that cover both the home front and the war front." Some early process work, trying to nail down the look of the map. 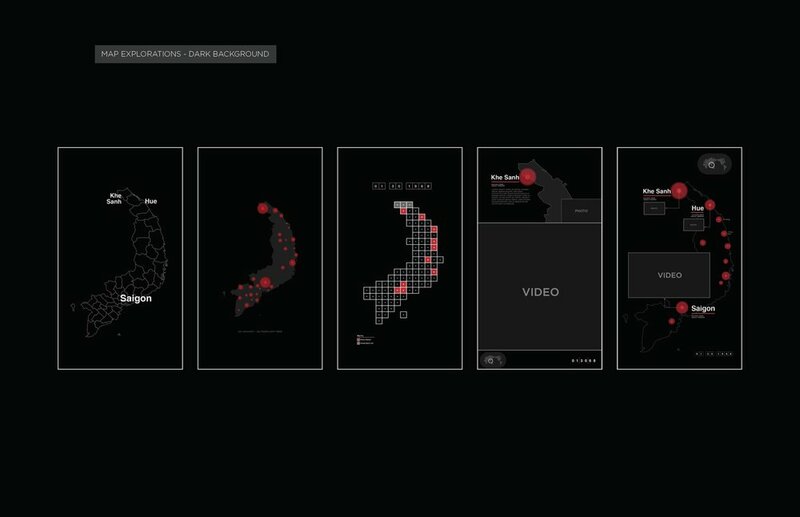 The vertical format opened a lot of different design possibilities, which we laid out for the museum.